Sonja here to say the Quickutz Club was a blast on Friday! Jessie’s philosophy with the Quickutz club is to offer dies that are versatile, yet use them in unconventional ways. How cute is that card? I never would have used stars this way, but now that I’ve seen it…I LOVE it! 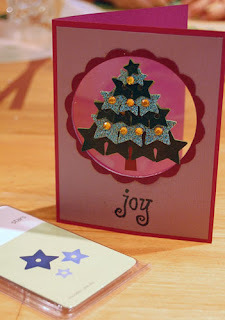 And the acetate window just adds a little something special to this cute and festive card. 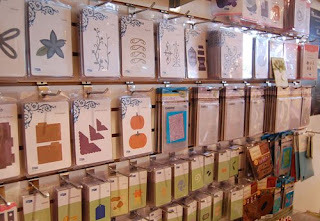 Check out Cherish’s selection of Quickutz dies, Cuttlebug embossing folders and Nestabilities (a box of goodies arrived on Friday!). Also, there are still a few black Squeeze’s available for $39.99, which includes a complete Metro alphabet! That’s a steal! This entry was posted in Scrapbooking Online. Bookmark the permalink.